I’ve said it many times here on BOS over the years, spring training wins and losses don’t mean much. There are many obvious reasons for this and I don’t think we even need to go into the whys. 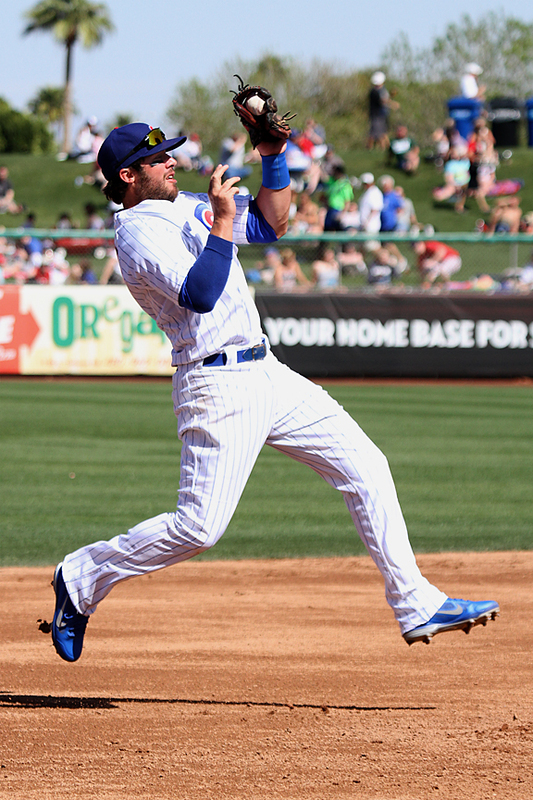 That being said, as a fan it still feels good to have your team win – even in spring training. And win the Cubs did today with an 11-4 pounding of the Colorado Rockies at Hohokam in front of 6,415 fans. 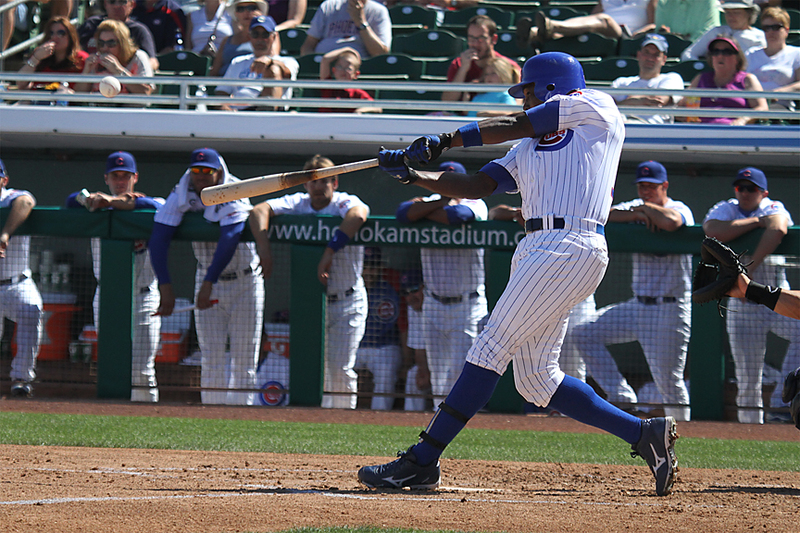 The Cubs have used the DH in all three games thus far in spring season. 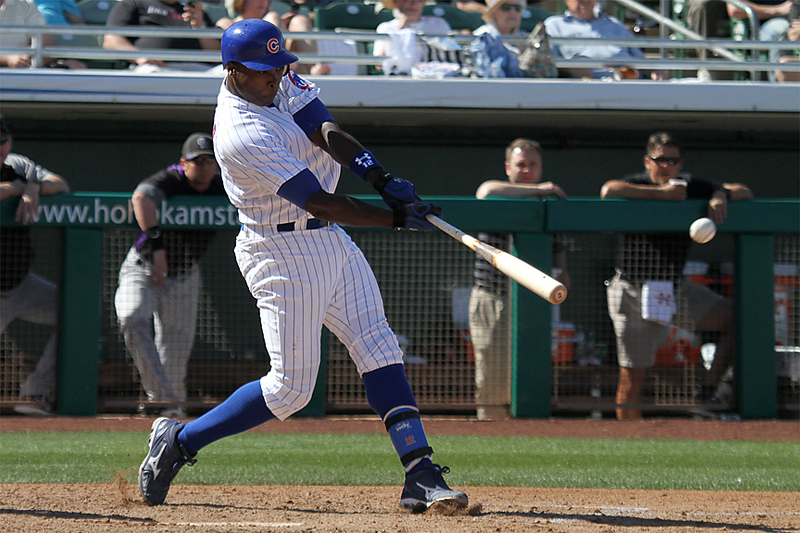 Today Alfonso Soriano was the DH and apparently when designated – he hits. Sori pounded two home runs, one was a monster shot, hitting the scoreboard net about three quarters of the way up and the other a line drive shot inside the left field foul pole. Soriano also had a double as he went 3 for 3 with 3 RBIs and 3 runs scored. Brett Jackson who was starting in left field also went yard with a 3 run jack. 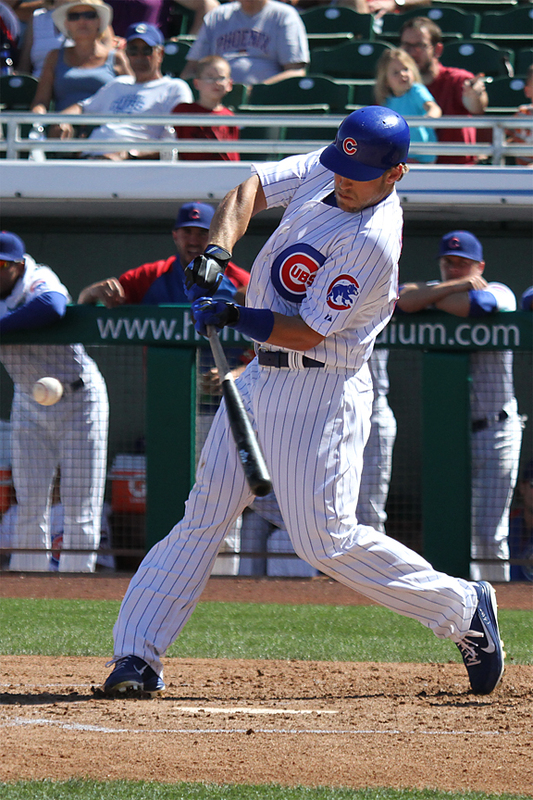 Earlier in the day it was pretty windy when the Cubs were crushing balls during BP. 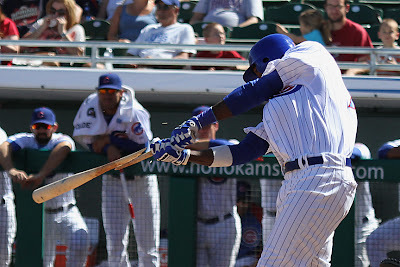 Oddly enough the wind died down during portions of the game and none of the Cubs 3 homers were wind aided. Other hitters of note, Anthony Rizzo went 2 for 3 with 2 RBIs and Wellington Castillo vying for the backup catcher spot was 2 for 3 with a double and an RBI. Joe Mather kept up his hot hitting from yesterday belting an RBI triple in his only at bat after taking over at 1st base. 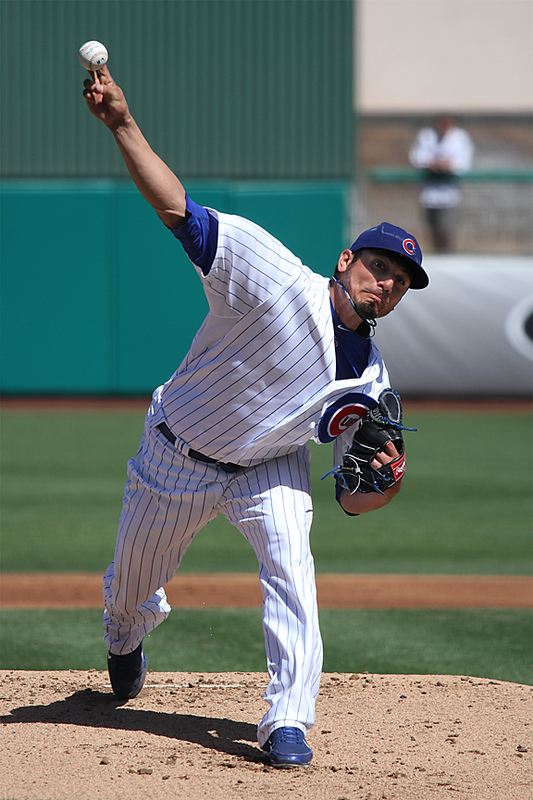 Matt Garza got the start for the Cubs allowing 2 runs in 2 innings off 3 hits, he struck out 1 batter. Casey Coleman looked good, throwing 2 scoreless innings. 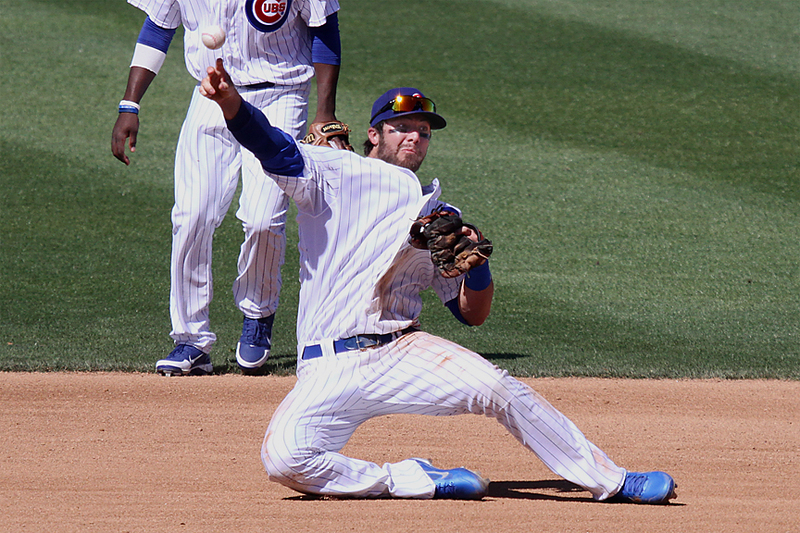 James Russell starting the 5th inning allowing a Dexter Fowler home run followed by 2 more Rockies hits, but was able to escape further damage aided by a double play. Chris Rusin pitched 2 innings allowing a run on a hit and 2 walks. Alberto Cabrera and Andy Sonnanstine closed the game throwing a scoreless frame each. Cubs defensive notes: Anthony Rizzo continued to show nice athletic ability for a big guy as he deftly maneuvered his body across the base avoiding the runner while keeping his foot on first to scoop a difficult throw from Ian Stewart. On the play Stewart had just made a nice snag of a bad hop that nearly rocketed over his head. Stewart later made a diving snare in the hole between 3rd and short then threw a rocket to 1st from his knees to nail Brandon Wood. Jim Adduci who came in as a substitution in CF made a great leaping catch against the wall in right center on a ball that looked uncatchable to the alley. It was warm today, low 80s again, the wind picked up later in the game. The wind is supposed to continue through tomorrow, between 15 and 30 mph. It’s also forecast to cool off tomorrow, with highs in the mid-to-low 60s, but no threat of rain. We don’t allow rain here in the Valley of the Sun. Joel Pattee, Gregg Baumgarten and Tom Pagel, three Mesa Public School teachers were honored by throwing ceremonial pitches before the game. Pagel is also a long time baseball coach here in Arizona and is still coaching at 81 years of age– yes, baseball keeps you young! Game photos by BOS ace John Antonoff. The Cubs and the White Sox met in Mesa today for the last meeting ever between these teams at Hohokam Stadium.